I love delving into Quaker Faith & Practice (Qf&P) – or other books in a meaningful way over a specified period of time. As I mentioned in the introduction to this series, this year I’ve been working through all of the entries that include the word ‘LIGHT’. 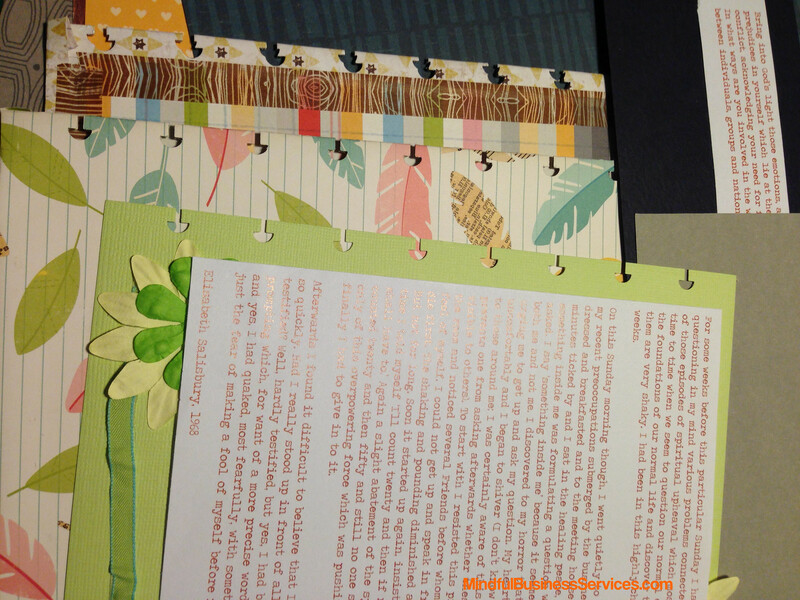 The journal was created using the ARC binding system from Staples, using cardboard for the covers, and cardstock for the pages. All decorated with pretty papers and other pieces to add interest. To find the passages, I used the on line version of Qf&P. If you haven’t tried this version – the search process is such a great way to explore Qf&P. Especially for a specific word or topic. Quotes were printed out on regular printer paper, before being trimmed out individually. Decided on one quote per page, with a facing handwritten response. 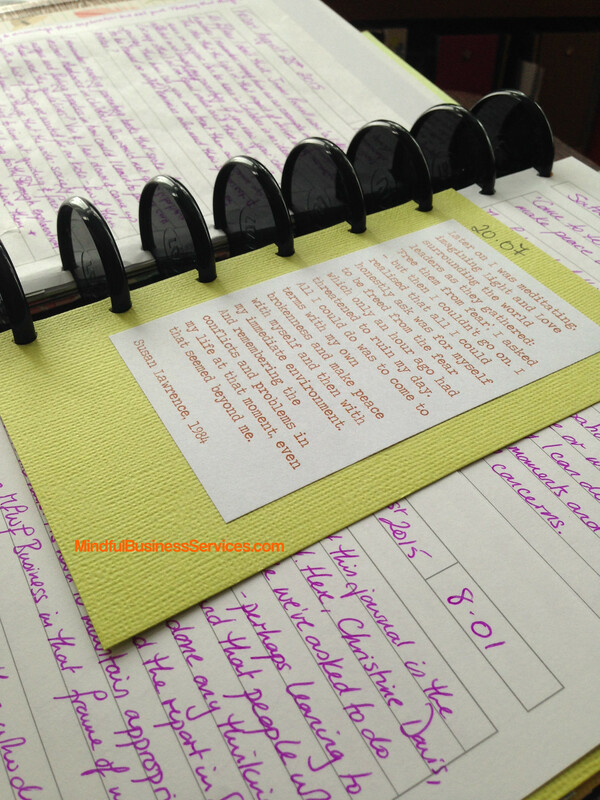 I decided to use a physical and hand made journal for several reasons. I find handwriting a very different experience to typing. Definitely prefer handwriting on a lap-tray during my morning quiet time, rather than needing to use a computer. I enjoy seeing the other entries as I flick through the album to my place, or peeping through behind other entries and quotes as I write. I like the look of the various sizes and colours of pages or entries. Being able to create pages in sections as I worked, made the planning and production easier for me. Research has shown that writing by hand connects to different parts of the brain, and helps to make connections. I also like adding in the colours and patterns that have meaning to me or just make me happy. 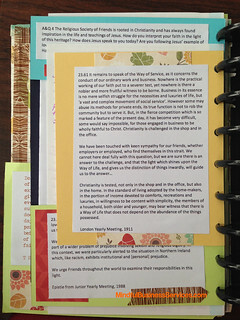 The journal also acts as a reminder to me during the process – as it sits on the bookcase in my bedroom, and will continue to do so once it is finished. I have several of these sorts of creative journals or albums, some created for a specific project or course, and others just for fun. Each is a good reminder of where I was in my personal and spiritual journey when it was created. Combining this with the read through has been interesting – I’ve decided to ponder and journal on the remaining nine passages from Chapter 21 this month. Then, to continue doing this for the appropriate chapters, for the remainder of the time I’m using this journal. 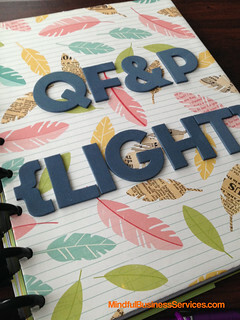 This entry was posted in Life Artistry, Qf&P by Wendrie Heywood. Bookmark the permalink.